A Cornell researcher whose work came under scrutiny earlier this year for text recycling has had a third paper retracted. The latest retraction for Robert Sternberg — whose work was the subject of allegations by Brendan O’Connor and Nick Brown — appears in the Review of General Psychology. Although the claims in the article are scientifically valid, the retraction is to address substantial overlap with the author’s previously published works. Those previous works are as follows: Sternberg, R. J. (2010). Teaching for ethical reasoning in liberal education. Liberal Education, 96. Retrieved from https://www.aacu.org/publications-research/periodicals/teaching-ethical-reasoning-liberal-education. Sternberg, R. J. (2012). Teaching for ethical reasoning. International Journal of Educational Psychology, 1, 35–50. http://dx.doi.org/10.4471/ijep.2012.03 The Editor was alerted to this potential overlap, which was then confirmed. The paper has been cited six times, according to Clarivate Analytics’ Web of Science, including twice by Sternberg himself. This invited essay contains text that has been previously published by the author. The purpose of this correction is to amend the publication record by providing missing citations and clarify where overlap occurs in this work (per the Committee on Publication Ethics text recycling guidelines). The sections of this article labeled “The Future: A Triangular Theory of Creativity”, “Kinds of Defiance in Creativity”, “Defying the crowd”, “Defying oneself”, and “Defying the Zeitgeist” contain text that is identical or near identical to text that appears in Sternberg, R. J. (2016). A Triangular Theory of Creativity. Psychology of Aesthetics, Creativity, and the Arts. https://doi.org/10.1037/aca0000095; R. J. Sternberg (2017). Creativity from start to finish: A “straight‐A” model of creative process and its relation to intelligence. Journal of Creative Behavior. https://doi.org/10.1002/jocb.223; R. J. Sternberg (2018). What’s wrong with creativity testing? Journal of Creative Behavior. https://doi.org/10.1002/jocb.237. Same author, same interests, same field of research, same expressive modality. Now, an author can overlap himself? I am not sure that retraction is appropriate. It is necessary, of course, to indicate overlap with previous publications, but updates and revisions may often be valuable, as long as the history is clearly indicated. It would be a disservice to the academic community if progress were never possible because of fear of retraction. It would be great if we could see the overlapping text to better understand the extent of the self-plagiarism. Were they parts of sentences (probably a lot of people could do this unintentionally if writing about a narrow topic) vs whole paragraphs? Can you Please explain what exactly does text recycling mean? I am unable to get your point. 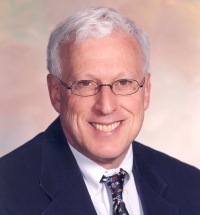 Dr. Sternberg’s recycling style involves: a) paraphrasing sentences while preserving paragraph structure, b) superficial changes to paragraph structure and ordering, and c) minimally adapting his material for re-publication. The problem with Sternberg is not that he relies on his own writing (and thinking) in guiding his further writing (and thinking) but in that he does that for the sole purpose of manipulating the amount of ‘output’ in ways that many other colleagues see as unethical and unnecessary precisely because it’s redundant/repetitive/non-novel etc. It’s like scientific spam. There are other strategies that Dr. Sternberg uses to manipulate the field – they have been explicated in the infamous Gottfredson vs. Sternberg debate in Intelligence (2004). If you read Gottfredson and Sternberg’s reply to her, you will find yourself captivated by a story of misrepresented and overinterpreted data.